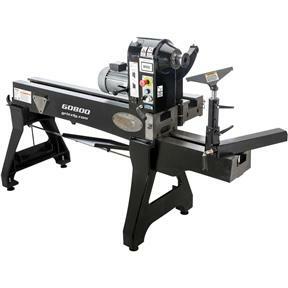 Take your turning to the next level with this Heavy-Duty Wood Lathe. 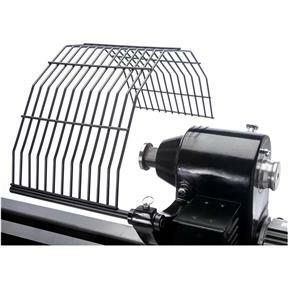 Solid cast iron from the ground up, this stout machine offers endless functionality whether turning fine spindles or large bowls. Where the chisel meets the grain is our fully-adjustable 14-1/4" tool rest with heavy-duty locking handle and 1" post diameter. 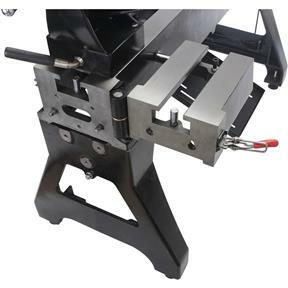 The headstock assembly can be positioned anywhere along the bed, and the tailstock swings aside on the hinged bed when not in use, allowing for maximum workpiece clearance. Turn at speeds of 60-3500 RPM thanks to the 3HP, three-phase motor with crystal-clear digital readout and forward/reverse spindle function. The large 1-1/2" tailstock quill diameter offers more rigidity, minimizing vibration, and extends 4-1/2" to maximize workpiece contact. 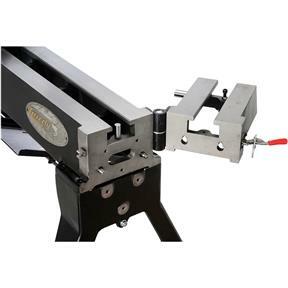 Extend the tailstock even farther when large capacity is required with the 12" swing-away bed section, providing up to 48" between centers, and add the optional comparator arms for better reference of complex patterns. 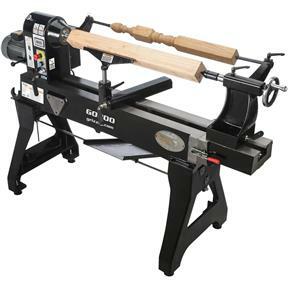 Take the next step toward creating your dream turning projects with this Heavy-Duty Wood Lathe. 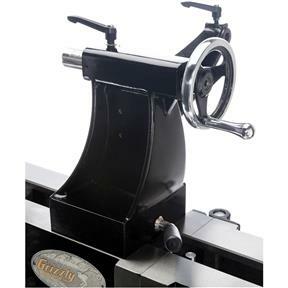 Swing over tool rest base: 20"
Maximum distance tool rest to spindle center: 15"
Spindle center height to floor: 46"
Approximate shipping weight: 845 lb. I've had the lathe for a week, and it's great. I've read the other reviews and the light on the speed read out should go out when the lathe is off. Get help putting it together, it will be much easier. The only things I don't like is the wasted space below the bed and the paint chips if you breathe on it. Very well built and look forward to having many years of fun. The only complaint would be that the RPM indicator would turn off when powering down, this would save the the meter from burn out after some period of time.. I am impressed by the quality of this lathe. I plan to put more hours on it and compose a detailed review. I have recommended this to my friends. This thing is massive. I cannot imagine any blank making it walk across the shop floor. Smooth and powerful. Count me as a happy camper. Please run a sale on this machine :-) encourage me to buy it! I haven't bought it yet cause i haven't seen much feedback on it. but......it looks like an awesome machine. Several months ago a write the above. Grizzly never run a sale but i decided to bite the bullet. It's a great machine, put together with lots of thought. I have been using it over the past month and i do not have a complaint. I have owned the Powermatic 24 X 48 & Oneway 24 X 36 This machine not anywhere close to the prices of others in class does the same job. If your looking for a workhorse, here it is. Very nice product. Smooth and quiet operation. Should have gotten one earlier. This lathe is heavy duty in all respects, and very well machined! Powerful, smooth and very stable. It has state of the art features. 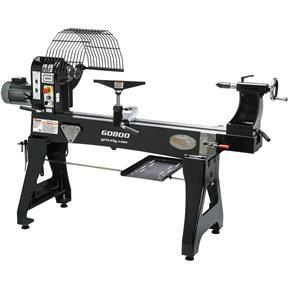 I have turned on a number of high end lathes, and this G0800 is ergonomically a pleasure, and has much to compete with lathes that are more than twice its price, so great value here as well. I am surprised and content with the purchase. The spindle lock needs to interrupt the motor. Just spins the best. Not a good design. 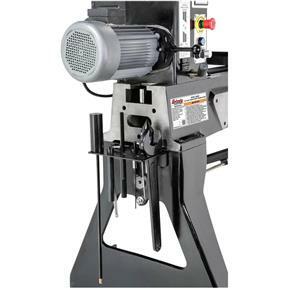 I looked at and tried all of the current 24" swing lathes. 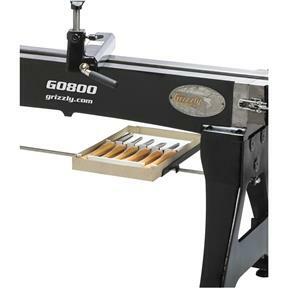 You cannot find one with the features and accuracy that the Grizzly G0800 provides. 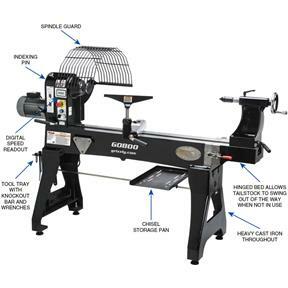 This machine is very precise, tight, and solid when you are turning. It is very heavy and the lathe design provides excellent balance even when you are turning large out of round pieces. The motor torque and the large shaft bearings run smooth through all speeds even with very small and large pieces/loads. I would rate this machine a 10 out of 10 for the investment and for the features it comes with. Happy turning!!! I was really impressed with how quite it runs. The only time I suspected I had a problem with vibration was the result of not having the lever pushed down hard enough on the drive head anchoring it to the rail. First of all - get 2 friends, plus a lift to set up this giant. Extremely smooth and solid. I have had it for4-5 months and it is doing everything I ask of it. No vibration. 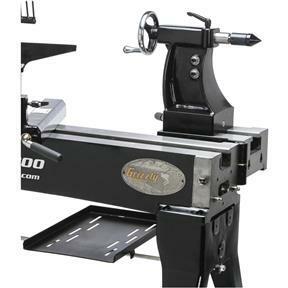 The swing away feature is great for getting the tailstock out of the way. I have started by doing everything that I know how to do with a smaller lathe and am just now making use of the bigger capacity. I'll say more later, but count me as completely satisfied. I have had this lathe for about 2 months. I am very happy with it i bought the bed extension and use it all the time. I have the headstock at the end of the bed and with the extension I can stand directly in from of or even on the backside (it helps reduce the strain on my back) of the piece i am turning. I compared this lathe with all the big name brands and i belive I got the most bang for my buck with this lathe. I picked up this lathe at the showroom and have already begun making sawdust. Definitely worth the money. Make sure you have a friend available to help set it up. Two men will be able to pick up the bed during assembly. Also, if you don't have it delivered to your house, make sure you have either a truck or trailer as the crate measures in at 58x31x30 inches and weighs over 800 pounds.